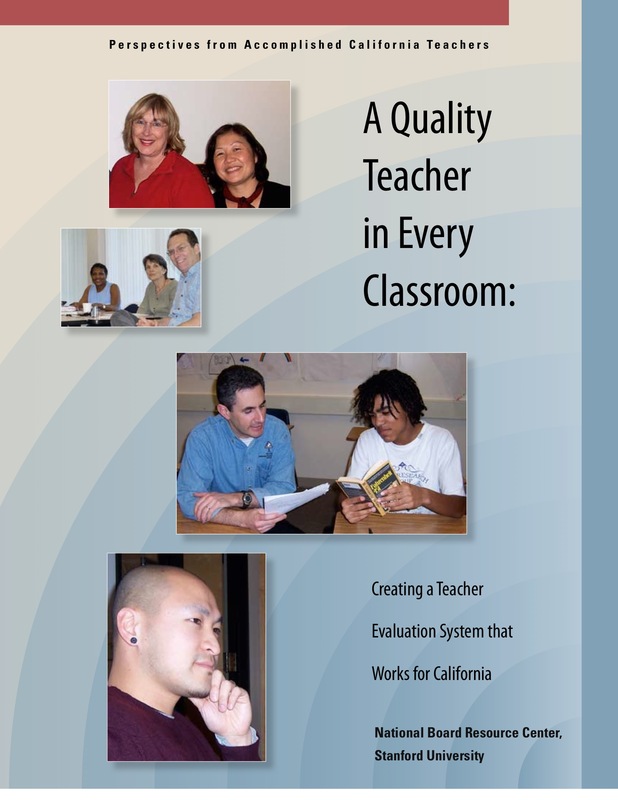 This report, produced by a team of teacher leaders from a variety of schools and regions in California, follows up on our teacher evaluation report of 2010 (see below). While education reform leaders rightly point to compensation as an important lever in hiring and retention, common notions of performance-pay reflect a misunderstanding of the teaching profession. They also fail, consistently, when implemented as simplistic rewards for raising student test scores. Instead of looking at pay in isolation, policy makers should look at compensation in connection to the work that teachers do, paying higher salaries to effective teachers who take on additional roles and responsibilities. 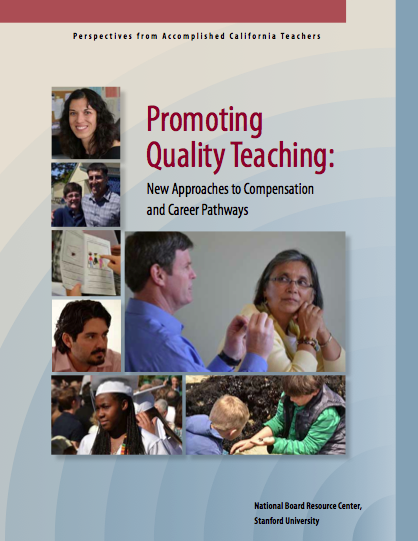 In this report, we suggest that California should explore the creation of a higher-tier teacher certification that identifies leaders in the profession, and rewards them not simply with money, but with increased compensation commensurate with new leadership roles beyond classroom. .Our first report, on the topic of teacher evaluation, came out in 2010. We chose to begin here because we believe that without a common understanding of what constitutes teaching quality and how teachers should be evaluated, any further conversation about improving teaching will be inconsequential. The recommendations in this report are drawn from research, analysis of existing policies, input from academic experts, and our own experiences as promoters of quality teaching. This report offers our recommendations on making teacher evaluation a more useful tool to advance the quality of teaching across California. You can read more here about how this report was put together. I believe there are two ways to make a significant impact on improving schools. 1. Hiring great teachers that you would want the building to be more like. After hiring them you must support them, usher them in with an understanding that you want the school to be more like them not vice versa. 2. Evaluating the teachers you currently have. The best way to impact students on a daily basis is by having effective classroom instruction (or facilitation). I just finished reading the report A Quality Teaching in Every Classroom. It is refreshing to read a report that both points out the problems with our current evaluation system in detail and provides for possible solutions. I recently had a conversation with a union rep about utilizing peer review and the response did not support this method. The reasoning was that teachers were not competent enough as they became involved in a power struggle with the teacher being evaluated. Although not provided with details, I could infer from the situation that there was probably not a clear understanding of roles. The research from A Quality Teaching in Every Classroom provides a framework for models that work. My hope is that the approaches mentioned in the report will be considered by policymakers, educators and all stakeholders as the debate continues.